Hello, Kim Ventrella! Welcome back to Watch. Connect. Read. What have you been up to since you last visited on February 1, 2017? Kim: Hi Mr. Schu, thanks for having me back!!! Wow, it’s been an exciting time since last February. 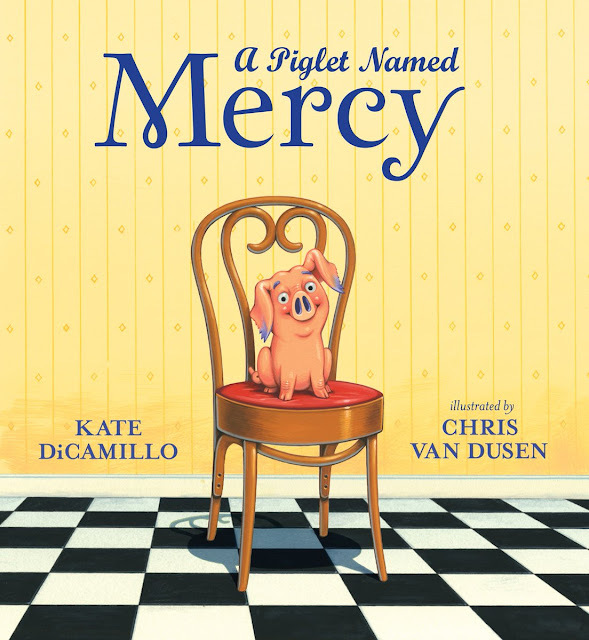 I had my first book signing at ALA Annual in Chicago with the fabulous Kathryn Erskine as my counterpart. 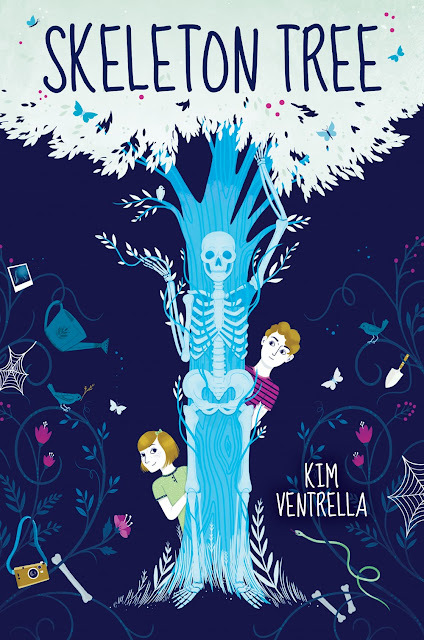 Kim: In September, I celebrated the release of my first book, Skeleton Tree, and I’ve since visited with schools in Oklahoma, Washington and across the world via Skype. 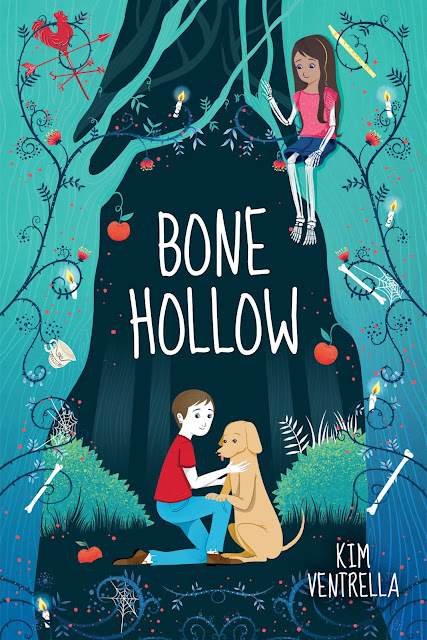 When I wasn’t meeting with readers, I was working on my second book for middle graders, Bone Hollow, and I am so excited to share the amazing cover with you today!!! Oh, thank you for sharing Bone Hollow’s cover. Is that Gabe, Ollie, and Wynne hanging out on the cover? Kim: Yes, it is!!! I love how Katya Longhi captured the darkly whimsical mood of the story. Kim: One of my favorite books of all time is The Imaginary by A.F. Harrold (illustrations by Emily Gravett). It captures the same whimsy as Bone Hollow, with a touch of the fantastic, while still maintaining a strong heart. The Graveyard Book by Neil Gaiman is also a definite must, with a totally different, but no less magical exploration of death. Oh, and there’s also this little book called Skeleton Tree (hehe). Although Bone Hollow is completely a stand-alone, it builds on the fantasy world established in Skeleton Tree and explores death from a whole new angle. How will you celebrate Bone Hollow’s book birthday on January 29, 2019? I will race my dog through the park (hopefully in the pouring rain)…and win!!! Oh, and there will probably be cake. Story is opportunity. Books open our eyes to dreams that otherwise we might have never thought possible. Mr. Schu, you should have asked me about my dog! She’s an amazing rescue named Hera, and she’s afraid of everyone in the world but me :P Also, Bone Hollow is dedicated to her awesomeness!!! Look for Bone Hollow on January 29, 2019. Skeleton Tree author Kim Ventrella returns with the wisest, FUNNIEST, and most profound middle-grade adventure you'll read in this life--or any other.